There were high hopes for a different Yemen after President Ali Abdullah Saleh stepped down in the context of the Arab Spring, and the presidency was then “won” by the only candidate in the elections, then-Vice President Hadi. The National Dialogue Conference was envisioned as a space to revise and outline the new path for development, democratization, and reconciliation. Yet, Saleh’s idiosyncratic governing style of patronage politics and a divide-and-rule strategy and its repercussions have been difficult to overcome. President Hadi inherited a deeply divided society and broad-based instability. This precarious environment has given the opportunity for a host of aggrieved factions to pursue their claims. The Houthi movement in the north, predominantly of the Zaydi Shia sect, has aligned themselves with forces loyal to Saleh since they attacked the government in Sanaa in the early days of the conflict. This uneasy alliance is born out of necessity: Saleh needs a platform through which to stage a comeback to Yemeni politics. The Houthis require Saleh for his influence within certain segments of the military, but this alliance is unlikely to endure. Even though they fight on the same side, Saleh and the Houthis have an antagonistic relationship. The Houthi movement has been critical of Saleh for his damaging patronage politics and his overly pro-US orientation. An impending threat is the Al-Hirak, or the Southern movement, based in the southern governorates where the vast majority of the population is Sunni. The movement is popular and calls for social justice and respect for the rule of law. Despite its widely-supported agenda, Al-Hirak has an extreme faction demanding the secession of the south and a moderate one pledging for regional autonomy. Southerners sought secession through the use of military force in 1994, but pursuing this aim now might yield results given the widespread societal disillusion and division. Unlike many of its regional counterparts, Yemen does not have an entrenched Sunni-Shia cleavage. Instead Yemeni society is composed of a number of tribes that form a pyramidal structure whose patrimonial character is strictly followed and safeguarded. Saleh saw fit to keep the tribes at odds in order to create a mutual dependency between his rule and the existence of the tribal formations. Tribal leaders play a crucial role in the on-going conflict since their support can tip the balance of power between the warring sides. Yemeni tribes, however, pursue interests of their own and their allegiance is unpredictable. As a result of disillusionment with the Hadi government and this status quo, many Sunnis support the Zaydi Shia insurgency. The war is also affected by the external support of Saudi Arabia and the Arab coalition for the Hadi government. Saudi Arabia’s involvement is unsurprising given its shared border yet the perceived threat of Iranian influence in Yemen through the Houthi movement is a much deeper concern for Riyadh. It is highly unlikely that the Saudis will abandon their intervention in Yemen until they have guarantees that the Houthis will have a low profile in Yemen’s post-war politics. Tehran has seized the opportunity to meddle in the Yemeni conflict and to use it as an arena to antagonize Riyadh. 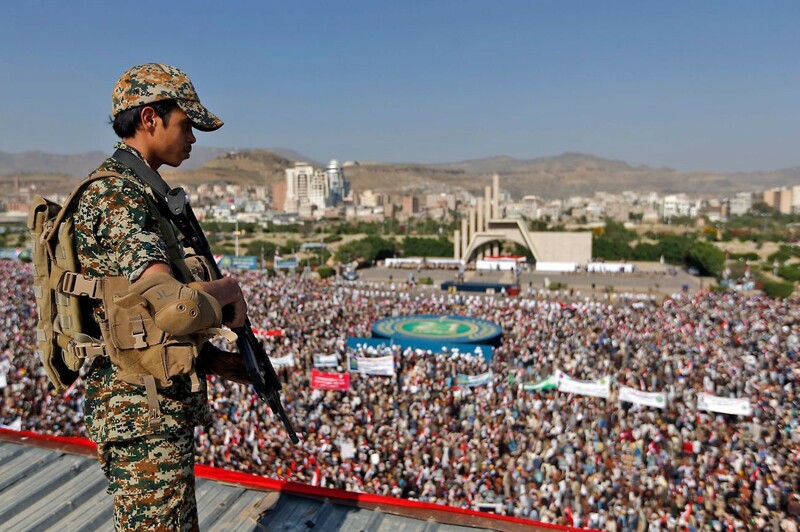 Even though the assistance Iranians grant to the Houthis is undoubted, its scale is vastly exaggerated and the extent to which Iran can influence Houthi decision-making remains limited. Still, Iran is expected to maintain a presence in Yemen in order to put pressure on Saudi Arabia and its allies. The presence of Al-Qaeda in the Arabian Peninsula (AQAP), together with its affiliate Ansar al-Sharia, may not enter news stories but presents a risk for Yemen’s future security and stability. AQAP holds swaths of territory in the country and benefits from the tumultuous environment as a result of the war for Sanaa. Under the Obama Administration, the US launched drone strikes against AQAP, but with limited success. The result of this counter-terrorism strategy was largely a surge in anti-US sentiments among Yemenis and stark criticism of the Hadi government that openly admitted its support for the US drone program. This has brought a spike in support for the terrorist organizations, making their elimination an elusive goal. Yemen is clearly in distress but despite the rising death toll the conflict is not ripe for resolution. The added dimension of outside intervention further erodes the possibility of peace, as conflicts with outside actors tend to last longer and are more difficult to resolve. President Hadi’s legitimacy and competency to govern Yemen has been compromised, and regardless of how the conflict ends, many Yemenis desire a new leader to manage the many dimensions of instability the country faces. At this point, the number of actors vying for influence in Yemen means that the prevalent instability is likely to persist and that any resolution is a far-off prospect. Marina Petrova is a PhD candidate at the Department of Government, University of Essex. Her research focuses on conflict and cooperation, contentious politics, and quantitative methods. She tweets @marinagpetrova.